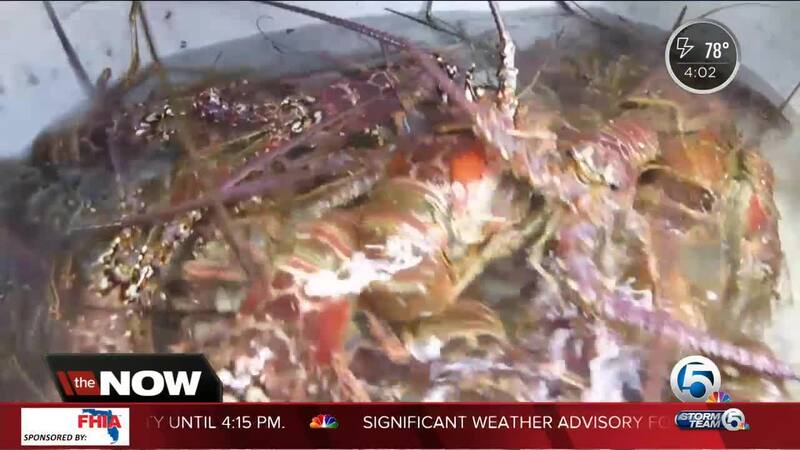 Dive shops in South Florida are working to keep up with the demand this lobster mini-season. Force-E Scuba Center off Blue Heron Boulevard reports triple the amount of sales in the last few days compared to the 2017 season. “Traffic has literally tripled this season,” said Force-E Scuba Center employee Mark Kosarin. Kosarin said it’s hard to pinpoint the exact cause for the spike in customers but believes Hurricane Irma is definitely playing a role in this trend. “We have to have everybody who works here on the floor to keep up with the demand of people coming in,” said Kosarin. Another draw to staying in South Florida rather than heading down to the Florida Keys to catch some bugs is the limit placed by FWC. 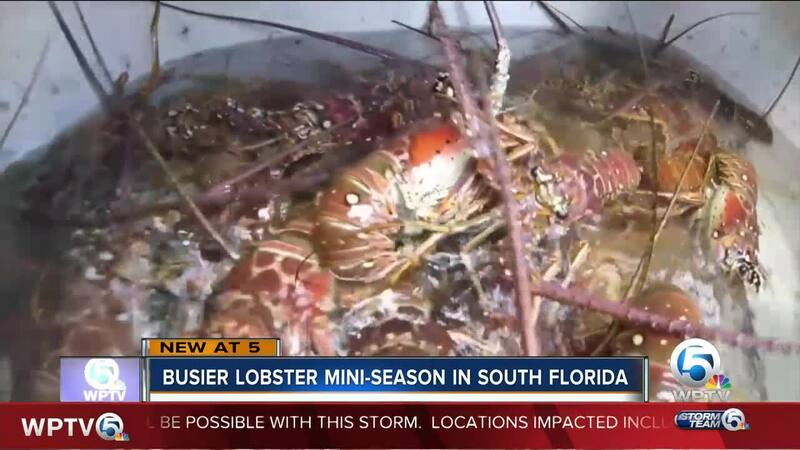 Along the Treasure Coast down through Boca Raton, each person is allowed 12 lobsters per day during mini-season. However, in the Keys, it’s half that amount at 6 a person per day. “Weeks before we’ve been diving and seeing a lot of lobster so it was guaranteed we were going to see lobster, where the keys where you might spend all day and not see any,” said diver Scott Briegel. Divers and dive shops believe the significant amount of lobsters spotted in South Florida will carry into the regular season. “There will still be plenty left, there’s no way we’ll catch them all they are everywhere,” said Nick Casper. The regular season starts August 6th and runs until March 31.